The Pearl has 15 newly refurbished rooms of differing sizes, including family rooms, twins or doubles, all with ensuites. 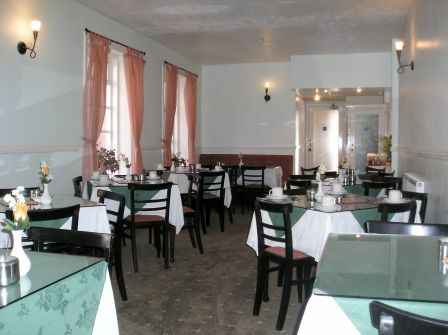 All rooms are comfortable and clean with Freeview television and tea/coffee making facilities. The dining room is beautifully light and airy, just what you need in the morning. Our breakfasts are served between 8am and 9am with a range of cereals, fresh fruit juice, tea, coffee and a full English breakfast. We like to provide a great start to the day, whether you’re planning a visit to the rides at Blackpool Pleasure Beach, the Winter Gardens, the aquarium at the Sea Life Centre, the Tower or the Zoo. a busy day or before going out to enjoy Blackpool’s busy nightlife. 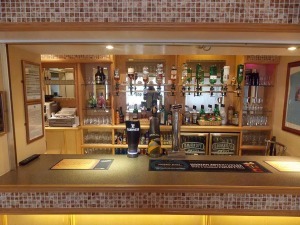 A large range of alcoholic and soft drinks, along with savouries and crisps, are available. Whether you’re after a romantic break, a family holiday or a get away with a group of friends, the Pearl Hotel can offer the best cheap bed and breakfast in Blackpool. Car Parking – There is limited car parking available on site – using a first come, first served basis.